Battlefront continues to release goodies after goodies. 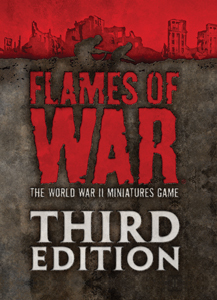 The biggest news of course is the new FoW Third Edition rules. Battlefront released a small free paperback copy of the rules for veteran players and the new large Third Edition hardback is also now available. Physically the rules look amazing and are well organized. We managed to get in a game with the new rules and we like them a lot. Just enough changes and streamlining to improve play but not enough changes to make the change a big deal for veteran players. Tip: Keep the new Quick Reference sheet handy it really helps. For newcomers to FoW this is a great time to enter the hobby. Of equal significance for us is the announcement of Blood, Guts & Glory the latest American forces book. After years of waiting we finally get our Easy Eights! 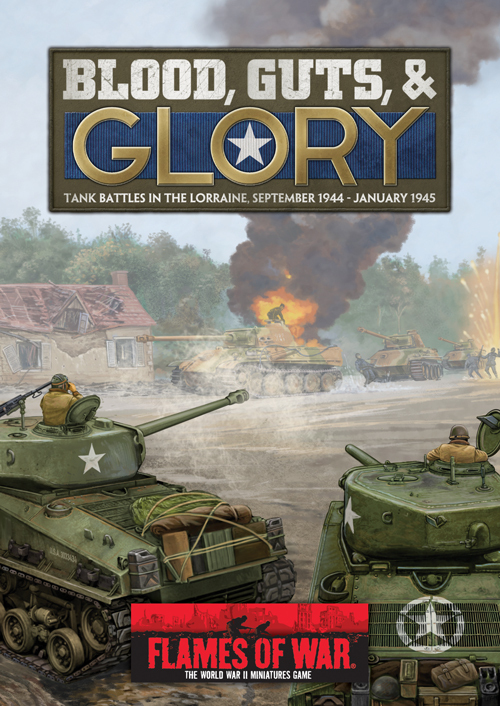 The book focuses on the tank battles in the Lorraine Valley, September 1944 to January 1945. We finally get Patton as a warrior option as well as all of the Sherman variants. With the Bulge book coming soon it is a great time to be a late war U.S. player. The Germans get some new lists as well representing the more ragged troops of the withdrawal phase of the war. Also see the nice Beasts of War look at FoW:BG&G. If all of that wasn’t enough Battlefront is releasing some great new terrain as well — although the long mentioned European buildings are still MIA with not a peep about their fate. There are new obstacles, wire, trenches, fields and Russian front buildings and a whole lot more. With luck we may see new European buildings with the release of the Bulge book. All in all it is a great time to be a Flames of War fan. It should be an interesting year.